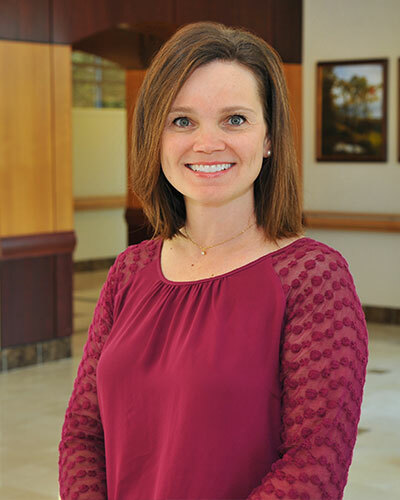 Jill Barron, Au.D., earned a Bachelor of Arts degree in Communication Disorders from the University of Mississippi in 1997, a Master of Science degree in Audiology from the University of Mississippi in 1999, and a Doctorate of Audiology Degree from Salus University in 2009. She joined Greater Knoxville ENT full time in 2016. Jill has worked in a variety of audiology settings including private practice, ENT, hospital, and a non-profit rehabilitative clinic. She enjoys helping patients by providing diagnostic evaluations and hearing aid services, as well as electrophysiologic and vestibular testing. She and her husband moved to Knoxville in 2009 with their 2 daughters.